Other Notes: 100+ IBUs. Hops – Magnum, Nugget, Centennial, Simcoe, Citra and Azacca. Intro: A 22 fl oz bomber bottled on 17th July 2015 and with an enjoy by date of 15th October 2015. It was poured into a Duvel tulip glass. Appearance: It poured a clear golden orange colour with a two finger white head which dissipates quite quickly but leaves lots of sticky lacing. Aroma: Clear tropical fruit aromas to start mainly of mango, papaya, peach and pineapple before settling on pine hop and some citrus orange peel. 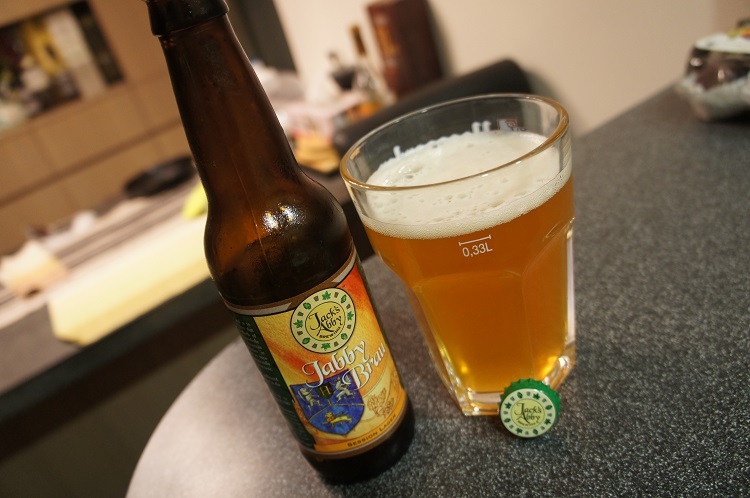 Taste: Starts with citrus orange, orange peel, sweet mandarin, maybe even a little soapy. Towards the middle there is a hint of tropical fruits but not much before it quickly finishes with a lasting grapefruit bitterness. 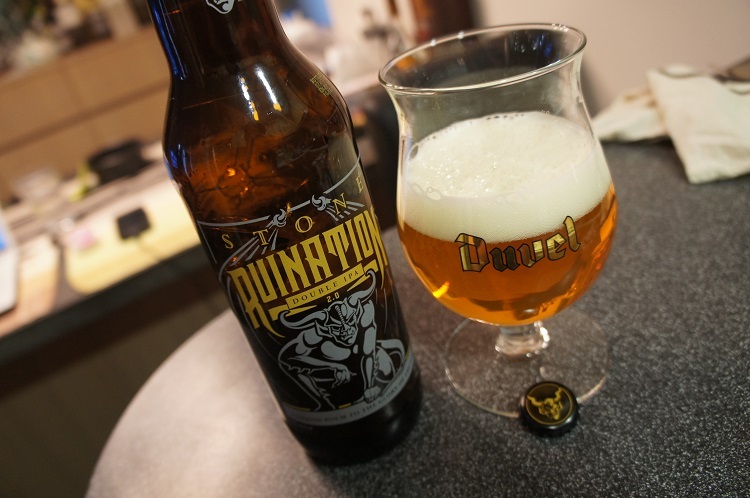 Overall: Great aromas coming from this beer and although I prefer less citrus orangeyness and more tropical fruit, this was still a very good DIPA that I would continue to drink. 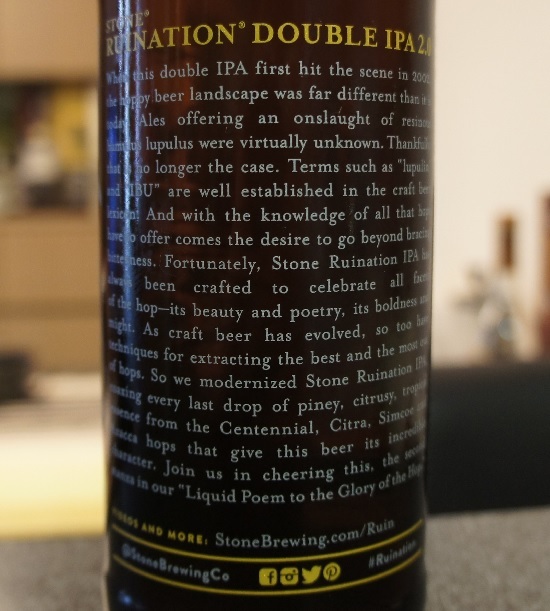 Other Notes: 20 IBUs. Malt – Pilsner, Munich. 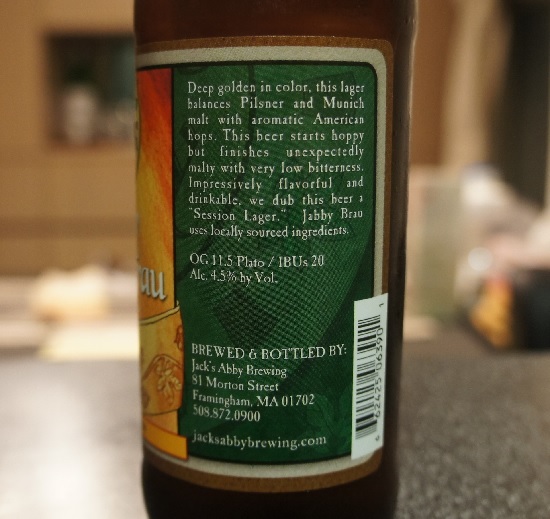 Brewer Description: (from bottle) Deep golden in color, this lager balances Pilsner and Munich malt with aromatic American hops. 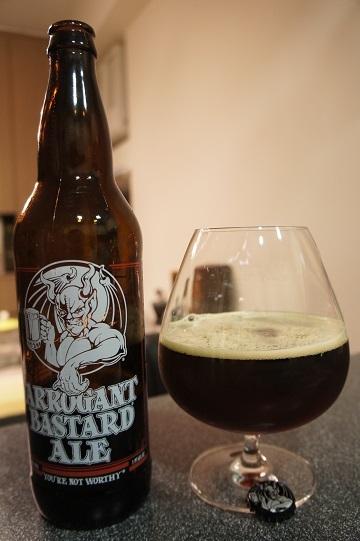 This beer starts hoppy but finishes unexpectedly malty with very low bitterness. 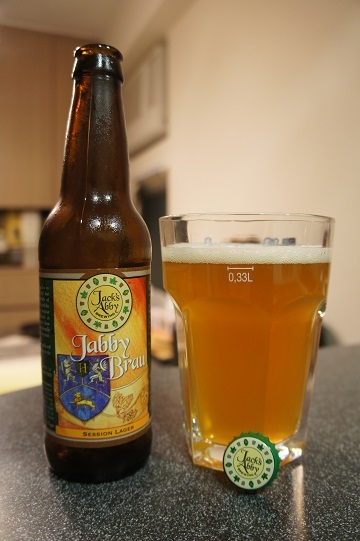 Impressively flavourful and drinkable, we dub this beer a “Session Lager.” Jabby Brau uses locally sourced ingredients. 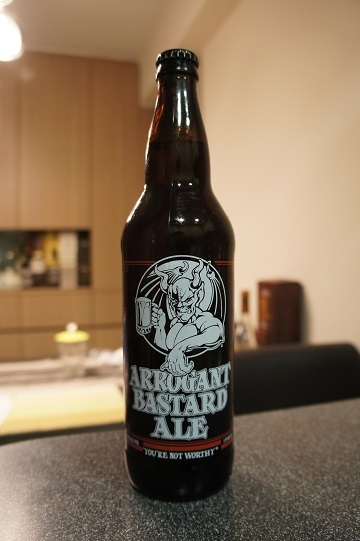 Intro: A 12 fl oz bottle with no bottled on date and poured into a pint glass. Appearance: It poured a slightly hazy golden colour with a light one finger white head that dissipates to a foamy layer with only very light lacing. 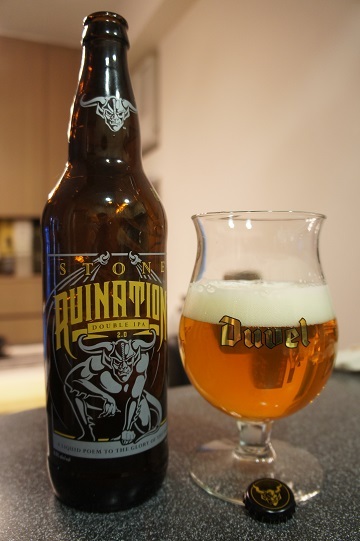 Aroma: Bready malts, pine and some light citrus orange peel, lemon and lime. Taste: Grassy, honey and brown sugar sweetness, caramel and bready malts, corn and light hop bitterness. Mouthfeel: Creamy, light bodied with medium carbonation. Overall: I’m not normally a lager person, but Jack’s Abby are definitely changing my views and showing me what can actually be done with lagers. 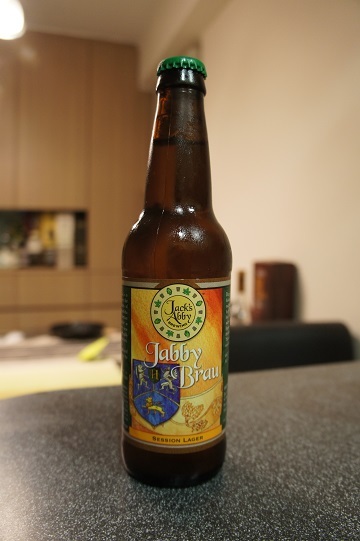 In this case, Jack’s Abby has produced another lager that would better most, but still falls a little flat. 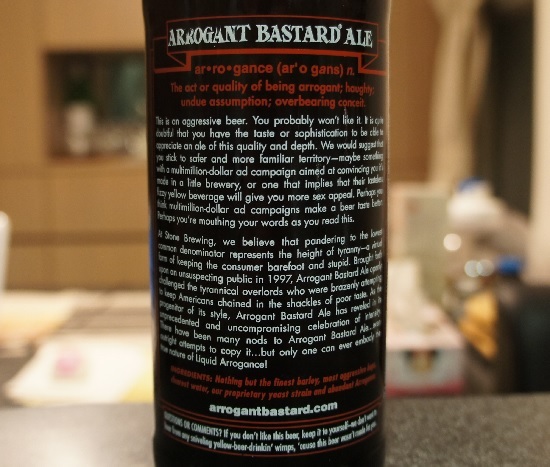 Brewer Description: (from bottle) Like a stamp on a tramp, this beer is about not so subtle seduction. Soft but complex malts, Chambly yeast, sweet orange peel, Columbus, Amarillo and Centennial hops have merged to create a bodacious Belgian IPA. Intro: A 12 fl oz bottle with a bottled on date of 23rd March 2015 and poured into a Duvel tulip glass. Appearance: It poured a slightly hazy dark amber orange colour with a thick almost two finger off white head that has great retention and leaves thick foamy lacing. Aroma: First thing that comes to mind is Tropicana orange juice. 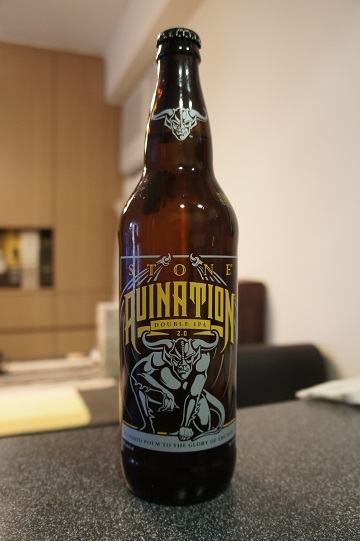 It is strong orange juice with hints of caramel malts, citrus orange zest, grapefruit and lemon. Taste: Citrus orange peel hits you upfront followed by grapefruit, pine, caramel malts and some kind of funk (in a good way). 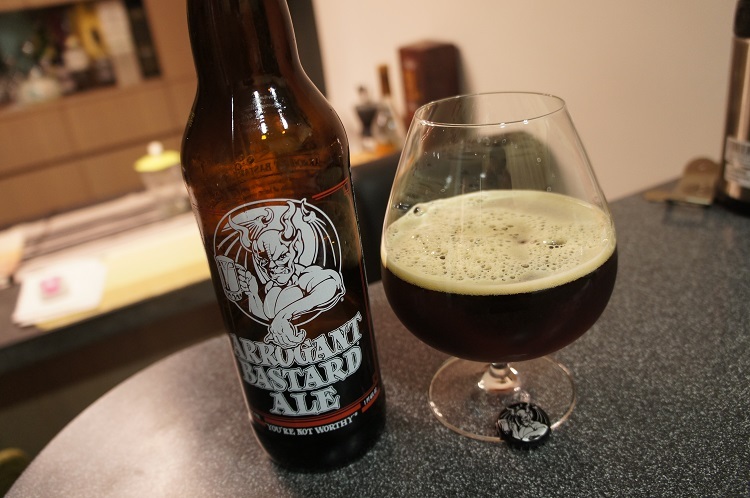 Mouthfeel: Medium bodied with high tingly carbonation. Overall: Admittedly, this is my first Belgian IPA, and its interesting and decent, but there is just way too much orange in this for me.